https://www.gofundme.com/save-my-early-plays-amp-tv-shows Please help me! I’ve had to start this GoFundMe page because my storage room in Manhattan where I’ve stored the first half of my life basically, up to 1996, is about to be destroyed and lost forever if I don’t pay the storage place $1500. The deadline is sometime mid-July. Go Fund Me is great! They put up my plea IMMEDIATELY, but so far I’ve only gotten $230 in donations. I need $1200 more. Anything will help. The Storage facility knows I am doing this. They’re being nice about it. I’ve been paying them right along since 1996. EVERY month. And now I’ve amassed late fees that they add on every month. They’ve locked everything up. I can’t get in to take things out. My credibility as a writer would be cut in two. My diaries which I’ve kept since I was a teenager, letters…Personal effects, furniture, clothes all could go and I’d only keep the originals of the plays themselves and the important TV shows with my interviews with people like Frances McDormand or the late Brian Bedford, etc. etc. Time is running out. They won’t wait forever. 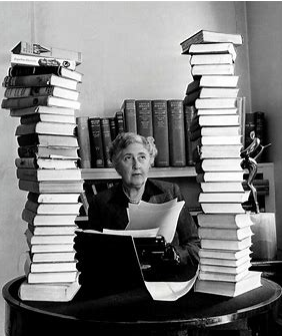 Agatha Christie is the 2nd most popular author in the English language. Only Shakespeare beats her. She was prolific to the max and all her books are still in print. Why is so STILL so beloved? I really agree with her current biographer Laura Thompson that it’s the power of her writing. NOT just the mysteries themselves, which, yes, for the most part are brilliant. But she could write like an angel and it’s very satisfying to read her books for, yes, her prose style, dare I say. The beginning of “Elephants CAN Remember” opens with a never-endlessly funny(to me) monologue for her also underrated mystery writer character(Really a caricature of herself, which she admitted freely) Ariadne Oliver. 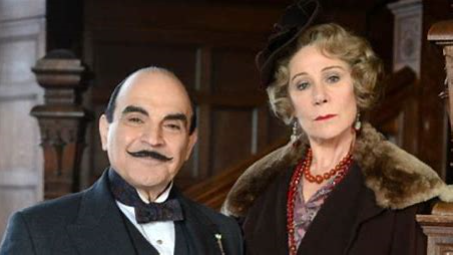 Well, in her later years, it is said she grew tired of her most famous creation the Belgian detective Hercule Poirot. 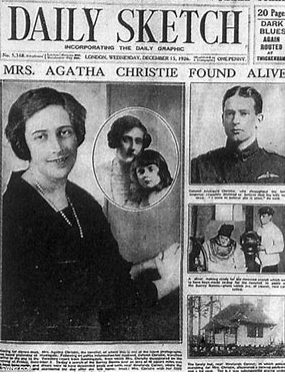 The world fell in love with Poirot and it is said that it was his astounding popularity that propelled Dame Agatha to keep including him in her puzzles, her novels. She wrote over 80 of them, and Poirot is featured in something like 50. 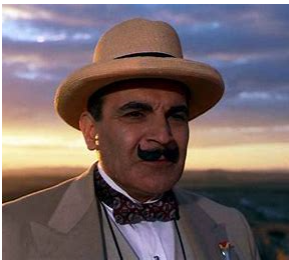 The brilliant actor David Suchet, played him on the PBS series that ran for over 25 years. He filmed Poirot in every one. A great actor, he made the already endearing character, even more popular than ever. A Belgian, who was constantly mistaken for a Frenchman,(and he didn’t like that), was an OCD personality before that affliction even had a name. His morning eggs had to be exactly the same size, for instance, and he was always com il faut, with his bow ties, cravats, vests, and patent leather shoes that were always too tight. Ariadne Oliver was his best female friend, a colleague, never a love interest, but she could be outrageous, while Poirot was always serious about his “little grey cells”(his ever-functioning brain). I wish there was more of her. 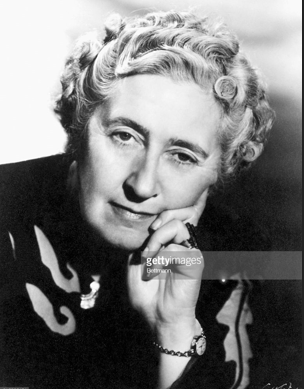 She turned up late in the Christie ouevre, but had Dame Agatha not died in 1976, at age 86, she was still writing, and I do believe Ariadne Oliver would have been more center stage than she was. In one of her last books “Elephants Can Remember” she practically elbows Poirot off to the sidelines. 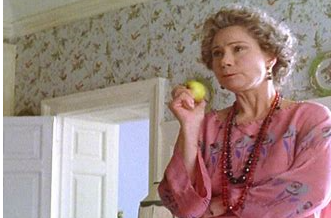 British actress Zoe Wanamaker is just as sensational a scene stealer on the PBS TV series as she is in the books. Addicted to eating apples constantly, she is always decrying her fate as a mystery writer/novelist in the wryest manner possible. Katrina Lenk & Tony Shaloub BOTH Win Best Actress & Actor & Best Musical for “The Band’s Visit”! That’s it! “The Band’s Visit” has just won EVERYTHING! Good! Great! A clean sweep! Katrina Lenk! Tony Shaloub! Congratulations to all! And to all a good night! Best Tony Show EVAH! It looked like half the audience got up and paraded on to the stage as producers of the winner of “Best Revival of a Play..” What else? 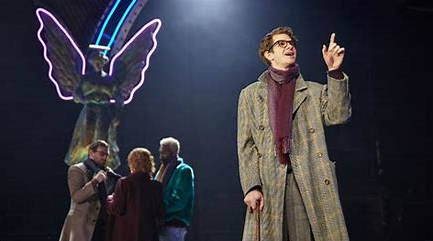 “Angels in America” Parts One and Two. Then the star-making moment of the evening when Best Actress in a Musical nominee Katrina Lenk sizzled as she sang “Omar Sharif” in an intense, smoldering close-up to Best Actor in a Musical nominee Tony Shaloub, who didn’t get to say or sing one word. “The Band’s Visit” which has won everything else so far….Will she win Best Actress, too??? Will he??? 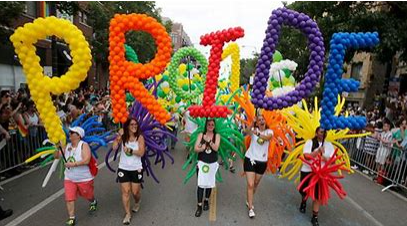 We all know it’s going to win Best Musical…. Another upset. “Once on This Island” wins Best Revival!?!? Robert DeNiro just got bleeped a couple of times…I don’t know why…I guess we’ll find out why later…He’s introducing Bruce Springsteen. 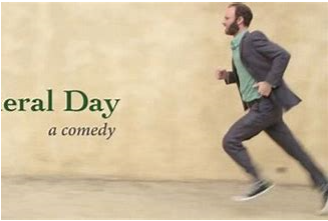 Who performs (and acts) a solo piece called “Your Home Town.” Serious stuff from him. 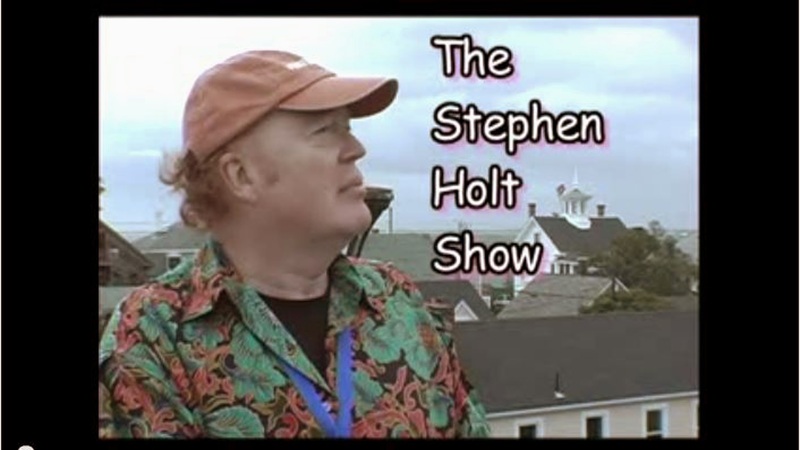 Poignant monologue about his Catholic childhood. I can relate.